Can you really buy something as personal as glasses online and be satisfied with the result? 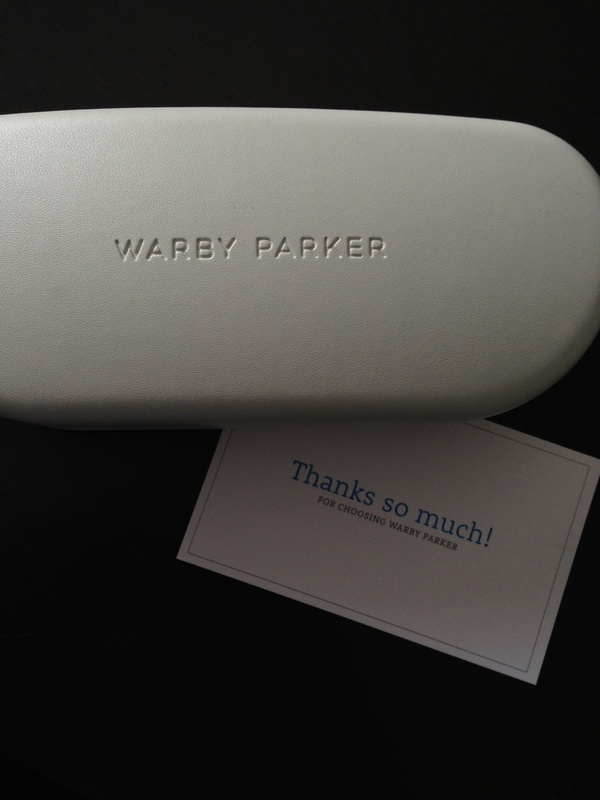 Warby Parker is on the right track with their stylish options and great customer service. After an unfortunate chain of events on our summer trip to Atlanta, I found myself in need of new glasses. Buying new glasses has not been an enjoyable experience for me in the past for several reasons. First of all, the stigma of wearing glasses is sometimes annoying. People always ask me “why don’t you try contacts,” or “have you considered laser surgery?” Yes, I have tried contacts in the past and it was incredibly painful and left my eyes red and irritated. As far as eye surgery goes, I don’t trust anyone with lasers near my eyes and the long-term effects of the surgery have yet to be proven. I’ll stick with glasses. One of the drawbacks to prescription glasses is time it takes to make them as well as the cost. Luckily, I have insurance that will cover some of the cost, even though I was out-of-cycle. You really can’t beat Lenscrafters because they have your glasses finished in about an hour. After enduring a long weekend without glasses and having to squint at nearly everything, it was so refreshing to have my eyes back. Prescription sunglasses have always been a luxury for me. I got my first pair a few years back at the recommendation of my optometrist, but failed to get the prescription updated every year. That left me with two different sets of glasses with to prescriptions and switching back and forth would give me an occasional headache. Warby Parker has solved the problem of prohibitively expensive prescription glasses. For a grand total of $150, you have a set of designer glasses delivered to your door in about one week. I received my pair a few weeks ago and couldn’t be more pleased. The online shopping experience is superb. Choose a few pairs that you like and they’ll ship them to you free of charge to try on. Their website has a great selection, even if a few of the pairs are quite hipster and not exactly my style. Once my at-home try-on box arrived, I took a few photos, sent them out to my friends, just like millennials do, and happily ordered the pair I fancied most. When you place your order, it’s very simple to upload a photo or scan of your prescription, or Warby Parker can call your optometrist for you. They even store your prescription on their site in order to expedite things if you decide to order more. Their new Fall 2013 collection is pretty tempting! I love the Ames in Graphite Fog. Once you place the order, it takes about a week to receive them. Warby Parker says it takes 5-7 business days to ship your glasses. As you can see from the photos, their packaging clearly suggests you’ve paid for a quality pair of spectacles. Warby Parker provides designer quality lenses at a very affordable price. The glasses I ordered were plastic and feel very solid. I’ve worn them almost every day and I love the way they feel. They’re light enough and they cover my eyes, which is crucial when choosing sunglasses. The prescription is super sharp, dare if I say better than the lenses in my pair from Lenscrafters. Some glasses tend to creak and rattle; however I haven’t experienced that from the Warby Parker pair. Included with the glasses is a cleaning cloth and a very nice case. I’m all for premium packaging and it’s usually a good indicator of the quality of what’s inside. This is the complete kit you receive from Warby Parker. Warby Parker is my go-to for glasses. Next year, I’ll plan better and order both my regular and sunglasses from them. In addition to offering fashionable styles and great service, for each pair of glasses you purchase, Warby Parker will donate a pair to someone in need. I know that my glasses make life so much easier and comfortable; I’m happy to help someone who needs the same. Warby Parker. Online at www.warbyparker.com. From $150 for prescription glasses.